Hello, all! Hoping your summer was wonderful! We are happy to announce that fall season registration is now open! Mandatory orientation will be held August 8 and 9 at 6pm upstairs in the parish hall at the Cathedral of the Nativity of the Blessed Virgin Mary at 416 Fifth Street. You only need to attend one, but you must come even if you have attended them before. Workshop auditions will be August 10, 11, and 12, and actors will be expected to attend all three days. This is a change to give everyone a chance to start learning the music and choreography and audition in a low-stress way. Tuition is $275 per student, ages 8 and up, and limited scholarships are available! Adult performers are asked to contribute 20 hours of volunteer time in lieu of tuition. If you are unavailable on the audition dates, we can make arrangements to see you early. Performance dates are November 17-19. Please email theateratlatitude58@gmail.com with participants’ names and ages. 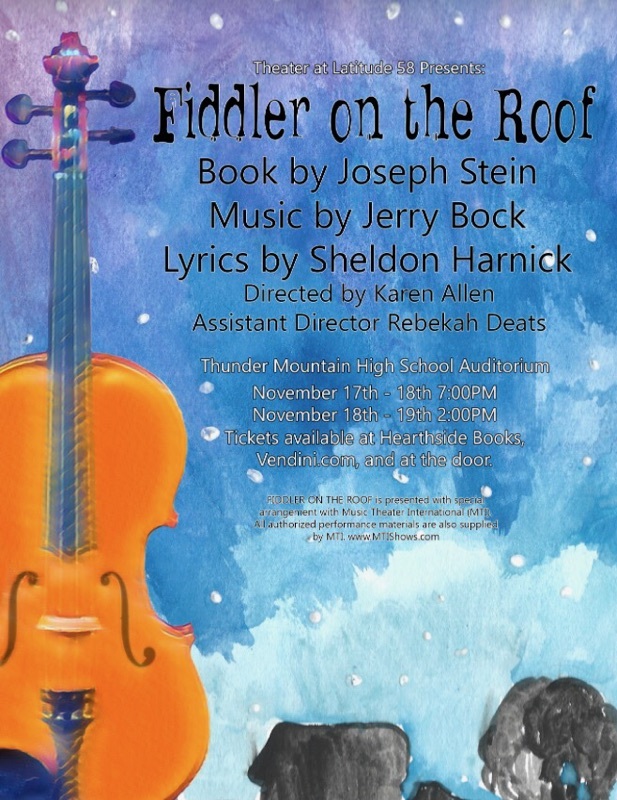 Come join us for Fiddler on the Roof! Set in the little village of Anatevka, the story centers on Tevye, a poor milkman, and his five daughters. With the help of a colorful and tight-knit Jewish community, Tevye tries to protect his daughters and instill them with traditional values in the face of changing social mores and the growing anti-Semitism of Czarist Russia. Rich in historical and ethnic detail, Fiddler on the Roof’s universal theme of tradition cuts across barriers of race, class, nationality and religion, leaving audiences crying tears of laughter, joy and sadness. This entry was posted in Productions, Public Blog. Bookmark the permalink.